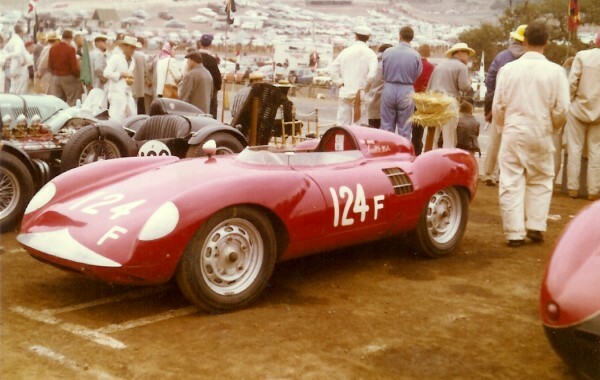 1950s racer George Keck's Porsche Spyder was extensively lightened and received a special body created by San Francisco Bay Area constructor Nadeau Bourgeault. George's photos & memories below. "The car originally was the Kunstle/Miles '57 Sebring #45 Porsche RS that they successfully drove to 9th overall and 2nd in class. As I was given to understand, the car while being trailered experienced a roll over... you can guess what the body looked like when roughly straightened. In any event, I traded JP (Kunstle) my '56 550 Spyder (Serial P90069) I was racing at the time for her knowing it was in pieces. I picked her up at von Neumann's in LA from Rolf Weutherich and Vasek Polak who were minding the pieces... (the pieces being: car with mis-shapen body, engine in boxes with new essential parts... and a new later model five speed gearbox that didn't fit the existing tubular frame structure)." "Upon returning all to Seattle, I set about re-engineering what laid there before me. First... the poor example of a repaired body was stripped away, then the tubular frame was modified to accept the later model five speed (jump off geared) low pivot axle gear box. The steering was re-oriented along with fuel cell located outboard of the frame (passenger side) with the spare tire forward (and lower) in the tanks place. This plus a few other innovations were pursued to realize potential 4 inch lower overall potential body height (less cross sectional area) and a couple hundred less pounds." "That done it was time for Nade to do his magic. Together we scratched basic ideas in the dirt outside his shop adjacent to Bill Breeze's Sports Car Center in Sausalito Ca. Nade was left with the resultant shape that was to be his creation... he would build the body in his spare time targeting fall completion... the body would be lightweight along Lotus functional envelope features (front and rear upper body readily removable with lower body integral attachment to the tubular frame)... incorporate outlined aerodynamic features that included low profile with less frontal area and induced air flow for better engine and oil cooling." 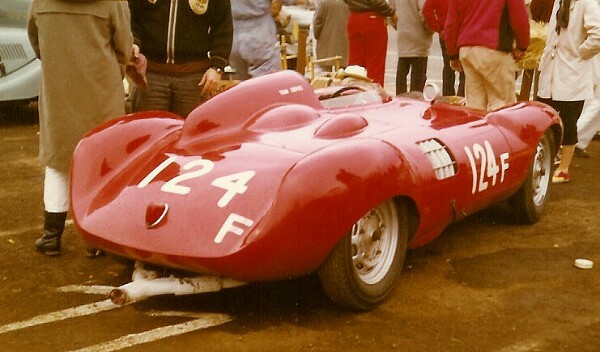 "The car was barely finished in time for the 1st running of the LA Times GP at Riverside in October '58... as a matter of fact her shakedown of steering, suspension setup, engine cooling, et al. Nade was especially concerned about the adequacy of cooling. Porsche factory Reps that visited Nade's shop to see the RSKeck endeavor (yup, we were ahead of the formal RSK model) commented that under no uncertain terms engine cooling provisions were inadequate. They convinced Nade to the point he fashioned air scoops in our Riverside motel the night before qualifying, but held off installing to "wait and see" at my insistence. Engine cooling turned out just fine while others experienced cooling bothers in the 105 degree heat. Quite frankly we were quite elated that the car finished considering this was her first time out... (a lot of well seasoned vehicles didn't). From there on it was up hill... as Tommy Meehan would say "she ran like a runny nose". 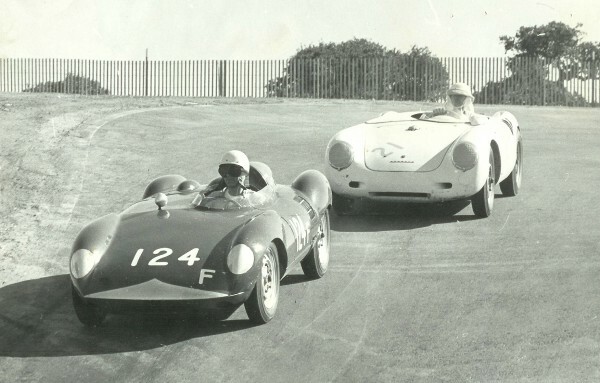 In June '59 I sold the RSKeck to Bill Hofius in order to purchase a Ferrari 250TR from Jaroslav Juhan (which incidentally was subsequently purchased, three owners later, and restored by Dave Love. Bill Hofius successfully raced Nade's pretty body work for a short period of time and in turn sold her to Tad Davies with Bill Toews fielding the car for him. Bill did right well both at Shelton and Westwood Canada, however I don't have details as to dates and races for it was after I left the racing scene. All I have for Bill (Toews) is a phone number in Acme Washington. Bill (Hofius) and Tad (Davies) I lost contact with in the '60s. If they are still around, they'd be in their 70s (like me) as time do fly when you're having fun."